and people who provide health products, services and information. Who is using .health domains? The .health domain extension immediately tells the world that your website is health-related – and with the availability of many great names, it’s perfect for new companies and brands building websites for new products. 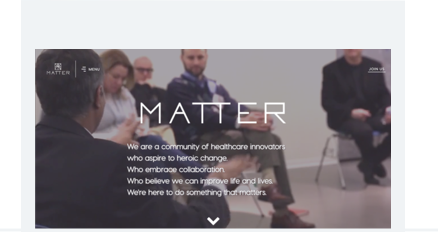 to introduce their digital medicine platform. If you had to settle for a less-than-perfect domain name in the past, .health domains provide an opportunity to rebrand with a shorter, better name while simultaneously showcasing your affiliation with the health and wellness industry. to assert their health-industry focus. 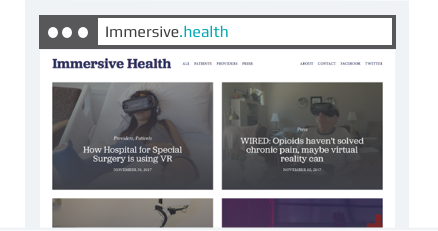 Focused and meaningful, the .health domain extension is ideal for blogs, advertising campaigns, or other initiatives that require their own domain name apart from your company’s website. on the clinical benefits of VR. With the need to be “short and sweet” in advertising calls-to-action, marketers are taking advantage of the opportunity to use a branded URL shortener for promotions and campaigns. 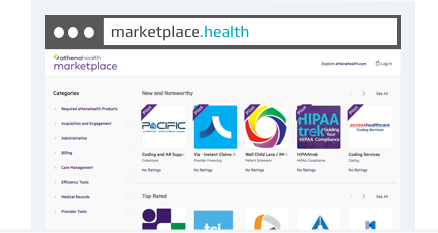 athenahealth uses marketplace.health to redirect to their MDP marketplace. Check out recent news & events about .health! 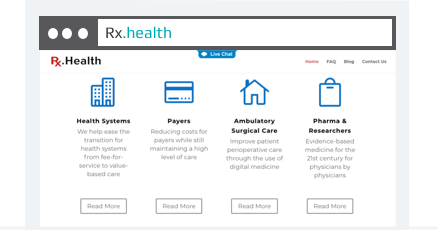 Discover the full launch schedule for .health domains.